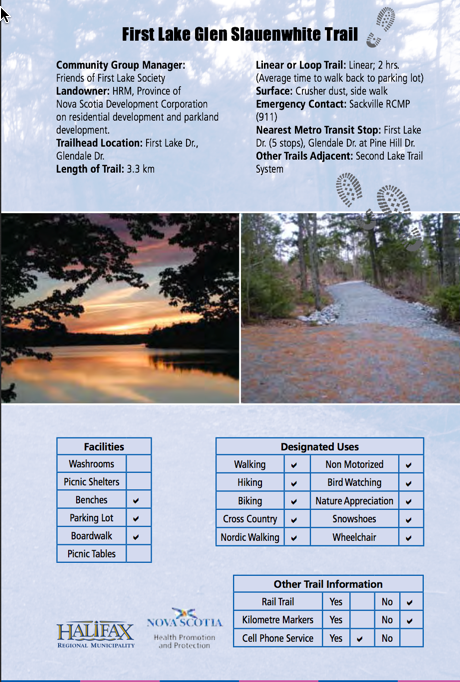 First Lake represents a wonderful natural area located in the heart of the community of Lower Sackville, Nova Scotia. First Lake is a large freshwater lake where you can enjoy many recreational benefits such as swimming, fishing, boating and ice skating in the winter. 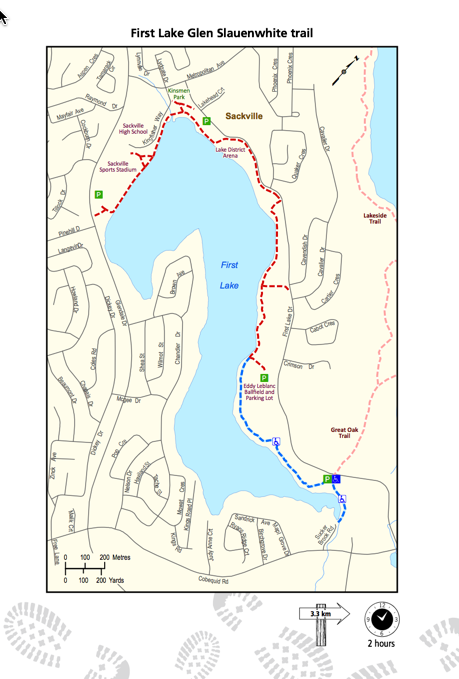 Many residents use the existing, and also newly built nature trails surrounding the lake for fitness (walking, hiking or biking) and also as active transportation corridors to travel around the community to and from work. Many important community events and celebrations are centred around First Lake and it contributes greatly to the beauty of Lower Sackville.